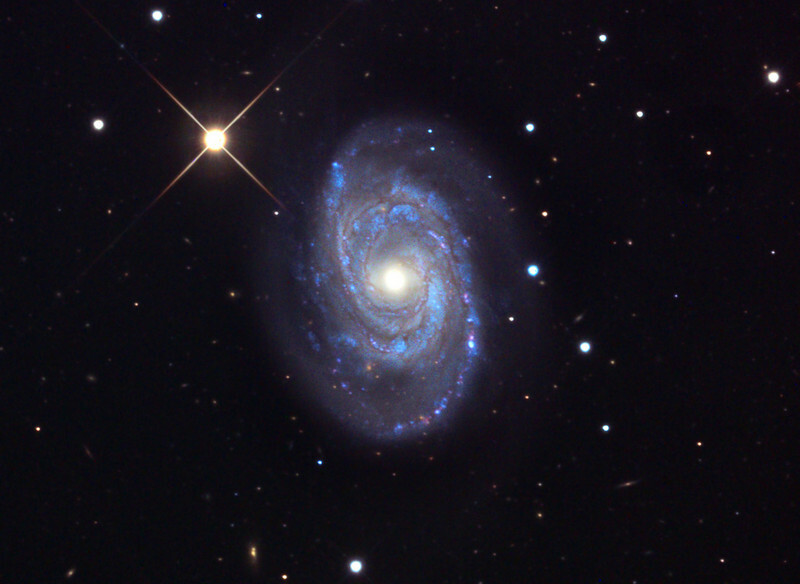 Spiral galaxy NGC 5371. Mt. Lemmon 24 inch R-C + 11000M, "first light." L = 120 min (1x1), RGB 20 min each (2x2). Original frames by Adam Block (U. of Arizona), image processing by JDS, no deconvolution. Galaxy apparent size = 4.2 x 3.4 arc minutes. In memory of John D. Crawford.